High quality writing notebook with your individual design! 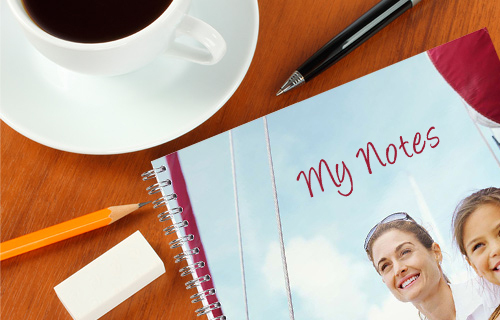 This practical writing notebook is an absolute eye-catcher: you can customise the cover with personal photos and attractive design templates. 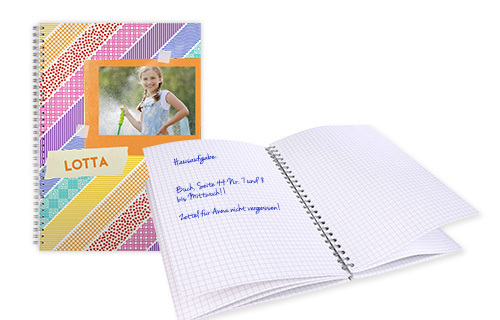 Choose between A4 and A5 sizes, with each notebook containing 80 sheets of squared or lined paper on a spiral binding.